KSRealityBites: How smoking affects your body? Smoking is one of the most dangerous yet unhealthy habits of human being. There's hardly a part of the human body that's not affected by the chemicals in the cigarettes you smoke. For a moment let's take a short tour of your body to look at how smoking affects it. First & foremost as a smoker, you're at risk for cancer of the mouth. Tobacco smoke can also cause gum disease, tooth decay & bad breath. The teeth become unsightly & yellow. Smokers may experience frequent headaches. Plus lack of oxygen & narrowed blood vessels to the brain can lead to strokes. Now moving down to your chest, smoke passes through the bronchi, or breathing tubes. Hydrogen cyanide & other chemicals in the smoke attack the lining of the bronchi, inflaming them & causing that chronic smoker's cough. Since the bronchi are weakened, you're more likely to get bronchial infections. Mucus secretion in your lungs is impaired, also leading to chronic coughing. Smokers are ten times as likely to get lung cancer emphysema as non-smokers. The effects of smoking on your heart are devastating. Nicotine raises blood pressure & makes the blood clot more easily. Carbon monoxide robs the blood of oxygen & leads to the development of cholesterol deposits on the artery walls. All of these effects add up to an increased risk of heart attack. In addition, the poor circulation resulting from cholesterol deposits can cause strokes, loss of circulation in fingers, toes & impotence. The digestive system is also affected. The tars in smoke can trigger cancer of the esophagus & throat. Smoking causes increased stomach acid secretion, leading to heartburn & ulcers. Smokers have higher rates of deadly pancreatic cancer. Many of the carcinogens from cigarettes are excreted in the urine where their presence can cause bladder cancer, which is often fatal. High BP from smoking can damage the kidneys. The health effects of smoking have results we can measure. 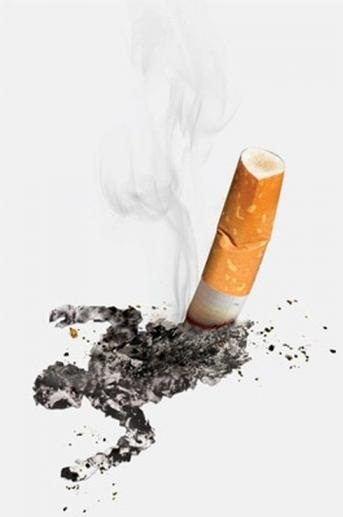 40% of men who are heavy smokers will die before they reach retirement age, as compared to only 18% of non-smokers. Women who smoke, face an increased risk of cervical cancer & pregnant women who smoke take a chance with the health of their unborn babies. But the good news is that when you quit smoking, your body begins to repair itself. Ten years after you quit, your body has repaired most of the damage smoking caused. Dear Fellas, Stop thinking to postpone your will to agree to stop smoking! What are you waiting for? Wake up from the biggest nightmare of your life. Take a pledge that you won't continue smoking again. All you need to do is to "Quit Smoking Forever" & stay healthy at least for your family, friends or your well wishers & celebrate many more birthdays... Stay Safe, Stay Healthy! Take Care. I enjoyed your post and know firsthand how deadly smoking cigarettes really is. Yet, you can quit and little do people know your lungs can start to repair themselves, yet it can take up to 10 years. But there are quicker ways to detox your lungs!